There's this door... you have to promise me you'll never open it, no matter what. Promise me! "What happens when sleep eludes you and not just for a night, but for a week; for a month? What does a man do when he's no longer sure what's real and what's in his head? 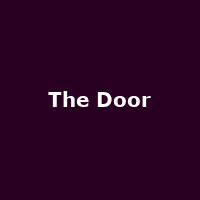 Inspired by the writer's own battles with insomnia, The Door is a psychological drama that takes the audience on an unnerving journey into the surreal world of sleep deprivation. Shot through with wicked black humour, The Door promises an unforgettable experience for those bold enough to step inside." Written by Cherise Cross, The Door was shortlisted for the 2013 Brighton Fringe "Best New Play" Award.